The Fowler / Bowers Microgauge is on sale at Gaging.com. This system is an effective, accurate and budget friendly small bore measurement system. The new Fowler-Bowers MicroGauge 2-point bore gaging system has been designed exclusively for the me.. The new Fowler-Bowers 54-551-010 MicroGauge 2-point bore gaging system has been designed exclusively.. The new Fowler-Bowers MicroGage 54-551-011 2-point bore gaging system has been designed exclusively .. 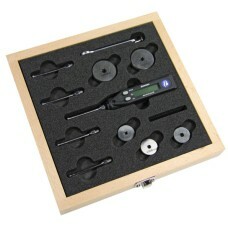 The new Fowler-Bowers 54-551-012 MicroGage 2-point bore gaging system has been designed exclusively ..